After a week vacationing with my family, we’re streaming once again in Week 6! Tom Brady’s triumphant return to the gridiron might take a few people out of the streaming pool, but that just leaves all the more value for the rest of us, right? The byes shouldn’t be much of a problem in standard leagues this week, as Jameis Winston and Sam Bradford haven’t been much more than streaming options themselves, and the loss of Minnesota and Tampa Bay’s offenses won’t impact the tight end market much either. Strangely, the biggest bye casualty of Week 6 is probably the Vikings defense. But there are still plenty of people searching for value at the streamable fantasy positions. So, here are some lesser-owned quarterbacks, tight ends, and defenses with fantasy upside in Week 6. As always, ownership percentages noted are representative of ESPN standard leagues. Mariota finally put it all together in Week 5, completing 20-of-29 passes for 163 yards and three touchdowns, while adding 60 yards and a fourth score with his legs. The passing yardage was actually a season low for Mariota, but it was far and away his most efficient performance of the season, he didn’t commit a turnover, and an uptick in rushing over the last three weeks is a nice bonus for fantasy purposes. Maybe a lot of this past week’s success can be written off to a favorable matchup against Miami’s porous defense, but with Cleveland traveling to Nashville on Sunday, there’s no reason Mariota can’t keep the momentum going. The Browns are giving up the fifth-most fantasy points per game to opposing quarterbacks and are just one off the league lead for passing touchdowns allowed with 13. Don’t look now, but Hoyer is doing it again. He’s replacing an injured NFL starter and turning the opportunity into fantasy gold. Jay Cutler’s thumb injury has allowed Hoyer to start each of the last three games for the Bears and the veteran signal-caller has eclipsed 300 yards passing in each game, with exactly two touchdowns and zero interceptions in each contest. Hoyer has attempted 42.7 passes per game since taking over the starting job and figures to continue to throw often as Chicago’s offense tries to keep games competitive despite its atrocious defense. This weekend’s matchup with the Jaguars looks like another potential shootout, as each team gives up better than 25 points per game. Hoyer should be in line for another productive fantasy week against a Jacksonville defense that allows the seventh-most fantasy points per game to opposing quarterbacks. If you ask a group of random NFL fans to guess the quarterbacks averaging the most pass attempts per game this season, top-five guys like Drew Brees and Andrew Luck will surely be named. But how many people realize that Smith, Mr. “Game Manager” himself, currently ranks third at 42 heaves per contest? Now, he certainly hasn’t been particularly efficient with that extra work, but sometimes streaming is about getting the most bites at the apple, and Smith has shown he can be productive enough in the right circumstances. 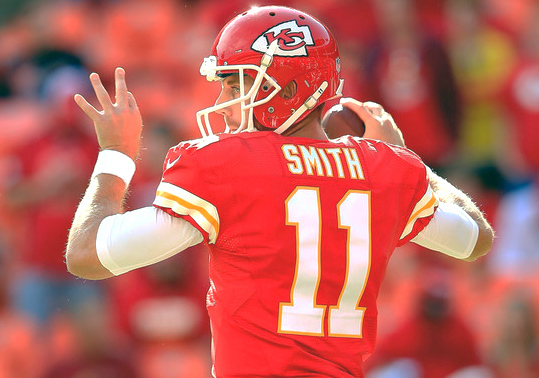 This week, the Chiefs are an underdog in a game with a 47-point over/under, facing an Oakland defense that allows the most passing yards per game and the most fantasy points to opposing quarterbacks. Sounds like the right circumstances to me. 20% OFF Premium and Platinum Gridiron Memberships! Gridiron Experts is not like other Fantasy websites; we are down to earth guys that want to help you win! We’ll take the time to listen to your Fantasy questions, offer weekly GameDay Live Chat, Direct Email Q&A, and provide some of the best bang for buck Fantasy player projections in the industry. 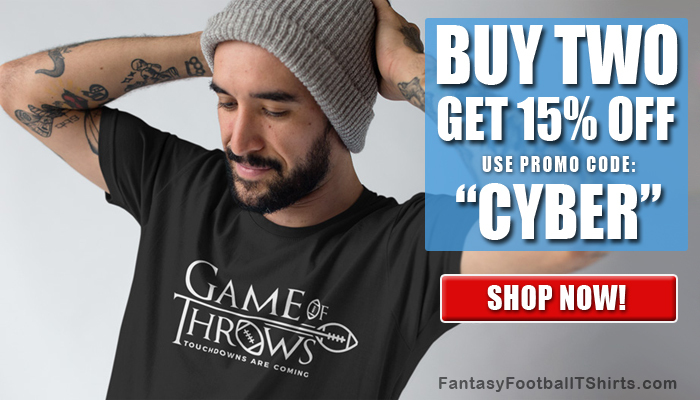 You’ll have an insiders edge to trading and making the best moves this season so you can win your Fantasy league! Become a Gridiron Experts Member Today! Use Promo Code: “DUDE” at checkout and save 20% off Premium or a Platinum Gridiron Experts Membership. 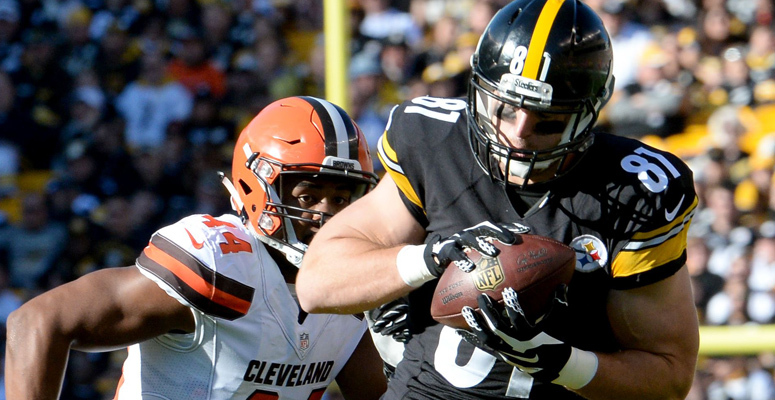 Get all the best Fantasy tips that will help you lock up a Fantasy championship this year. It’s easy to write James off as being too touchdown dependent, since his three scores in five games greatly buoy a paltry 128 total yards from scrimmage on the season. But the second-year tight end has seen steady involvement in the Steelers passing game since Le’Veon Bell’s return in Week 4 (also coincident with an injury to Eli Rogers), consistently seeing targets after the “Big Two + One” of Bell, Antonio Brown, and the emerging Sammie Coates. With Pittsburgh’s offense clicking on all cylinders since Bell’s return, James has scored in consecutive games and his big body (6’7”, 261 lbs) should continue to draw Ben Roethlisberger’s attention in the red zone. This week James faces a Miami defense that ranks in the bottom-ten of the league in terms of stopping opposing tight ends. With Sammy Watkins on injured reserve, Clay has seen a significant bump in production over the last two weeks. He’s getting targeted on almost 25% of his routes over that stretch, with five catches in each contest against the Patriots and Rams. This week’s opponent, the 49ers, have given up the tenth-most fantasy points to the tight end position this season, including huge games conceded in each of their road games of 2016. While Clay isn’t likely to match what Greg Olsen did to San Francisco in Week 2 (5-122-1) or Jimmy Graham in Week 3 (6-100-1), he’s a viable streaming option. With Jared Cook sidelined by an ankle injury, Rodgers seemed poised to assume a prominent role following Green Bay’s Week 4 bye. He responded with one catch for six yards on Sunday night, his worst performance of the season. But a look beyond the net results paints a more encouraging picture for Rodgers moving forward, as his five targets were a season high and he was on the field for 91% of the Packers offensive snaps. The team likes to involve the tight end in the passing game and with Cook still looking at a lengthy absence, Rodgers should absorb most (if not all) targets to the position. In Week 6, Rodgers draws a favorable matchup against a Cowboys defense that allows the fourth-most fantasy points to opposing tight ends, including 397 receiving yards to the position, the second-most in the league. Anyone who watched Sunday Night Football this past weekend recognizes that the Giants offense is out of sync right now. While New York’s playmakers can still be dangerous and Eli Manning has only been sacked 10 times on the year, an injury-riddled backfield has made the offense very one-dimensional and the team is averaging just 17.8 points per game. Baltimore has generated multiple turnovers in three of the last four games, while the Giants have four interceptions and six lost fumbles over the first five weeks of the season. 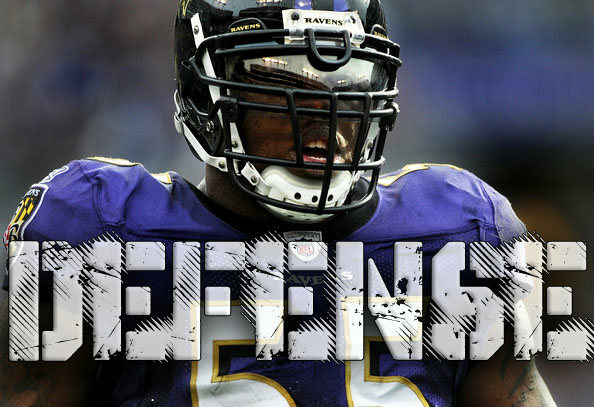 The Ravens defense is a streaming option with nice upside potential in this matchup. The Steelers defense hasn’t been great for fantasy purposes this season, but the unit has only had one game in which it gave up more than 16 points, and quarterback pressure has been trending up as of late with seven of their eight sacks on the year coming in the last two contests. No team allows a higher rate of sacks-per-dropback than the Dolphins, which bodes well for Pittsburgh’s burgeoning sack trend in Week 6. Additionally, only two teams have given up more turnovers than Miami’s 11 this season, furthering the Steelers case for streaming consideration on Sunday. In 2016, defensive streaming can sometimes be as easy as picking the team that is playing the Browns. Fresh off a six-sack, two-interception performance against Miami, the Titans welcome to town a Cleveland offense averaging just 17.4 points per game, fourth-lowest in the league, which will be helmed by a banged-up Cody Kessler, a player in Josh McCown that fractured his collarbone less than a month ago, or rookie Kevin Hogan who was just promoted from the practice squad this week. Las Vegas expects this to be one of the lowest-scoring games of Week 6, and the Browns have provided plenty of opportunities for turnovers (8) and sacks (13) over the first five games of the season.